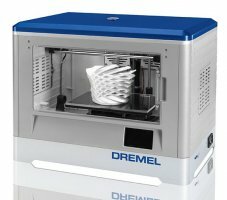 In what I consider to be surprising news, today Dremel announced that it will be coming out with their own 3D Printer—the Dremel 3D Idea Builder, something they are claiming will be “the most user-friendly 3D printing experience on the market”. Along with the printer they are launching a growing library of 3D models of items you might find fun or useful around the house. 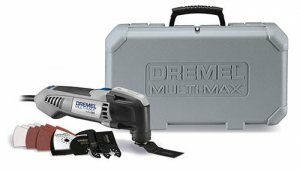 It looks like a new 8V Max Dremel is on its way onto store shelves. 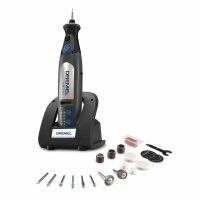 The Dremel Micro 8050 Rotary Tool appears to be smaller than even the current 8V Max Dremel Rotary Tools, but still packs all the features we have come to expect and maybe even has some new ones. 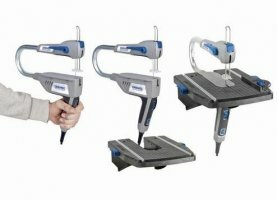 Oscillating tools are getting better and cheaper as the years go by, as is evidence by the new Dremel MM30 Multi-Max, which delivers 14% more cutting speed over the previous model (MM20) and it's expected to retail for only $99. 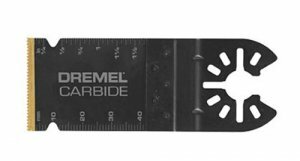 Dremel has come out with a new carbide oscillating tool blade that they say is the first oscillating tool blade on the market with high performance carbide teeth. These are unlike previous carbide oscillating blades that feature only carbide grit. To help you get ready for spring time lawn and garden work Dremel has come out with the new Dremel 100-LG Lawn and Garden tool sharpening kit. 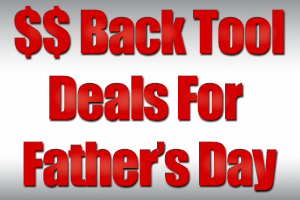 The kit includes everything needed to maintain and sharpen the most common lawn & garden tools. In the 40's Dremel came out with what was basically a powered coping or fret saw. This tool they called the Moto-Saw was pretty revolutionary for its time and they even advertised it as "more like magic than any tool you ever saw". 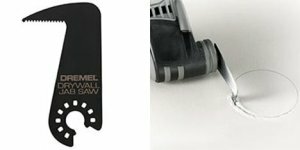 Seventy plus years later Dremel has a new version of the Moto-Saw that still looks like a fancy powered fret saw but can also be mounted in a stand and used as a small scroll saw. 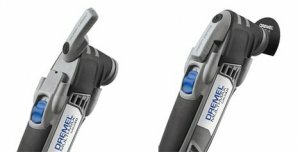 Dremel has come out with a couple of new oscillating tool accessories that really expand the versatility of oscillating tools and should give you even more chances to use the Multi-Max on your projects. Both new accessories move away from the standard push blade model and instead cut when you pull the tool.